Toronto Concrete Design & Landscape Construction Best of Houzz 2018! WE SERVICE ALL MASONRY RELATED NEEDS Toronto Masonry operates with a firm understanding that the work we produce will be viewed by thousands for decades to come. Keeping that in mind, we offer full service quality masonry solutions to both contractors and homeowners so that you do not need to worry about the next steps for your residential or commercial construction project. With the expertise, manpower, and organization to accommodate large-scale masonry projects, our team is ready for even the most complex masonry application! ONE-STOP-SHOP APPROACH Our organizational structure is meant to reduce headaches for builders and homeowners alike by reducing coordination and providing a one-stop masonry solution including take-offs, material supply, and on-site coordination. IN-HOUSE EXPERTISE We employ a team that possesses a wide range of skills required to support the wide range of high quality finishes that our customers require installation for. To learn more visit the service page. FLEXIBLE PAYMENT STRUCTURE We adapt to the billing cycles of our builders to ensure that we can work cohesively together for the long term. Through a quick call our team will understand your payment schedule and plan accordingly. 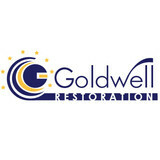 Goldwell Restoration has been a Mississauga leading contractor in the field of residential, commercial and industrial renovations and restorations for over 30 years now. Except supreme quality of work, we can proudly claim our top spot amongst Mississauga concrete contractors. 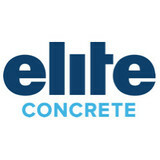 We specialize in concrete repair, waterproofing and decorative/protective concrete finishing. Currently we are #1 contractors when it comes to variety of available designs. We offer over 100 different colours, textures and finishes. We also offer customized colours and textures to match most of finishes. Most of our concrete finishes carry 20-year warranty. Please visit our showroom to view full selection of products! Bert started landscaping as a summer job in high school and his love of the business grew from there. An expert in landscape construction, Bert launched Earthworks Landscaping in 2004 and continues to oversee all aspects of the company. When not at work, Bert enjoys playing hockey and spending time outdoors with his 2 boys. Jennifer has a background in business administration, project management, marketing & advertising and an eye for great design. If she's not in the office, Jennifer can be found wandering the aisles at a home improvement store or losing to her kids in video games. Earthworks Landscaping can help you create your perfect retreat. Add living space to your home with a backyard oasis - outdoor room, stone kitchen, fireplace, spa, garden. Elevate your space with a range of possibilities - from landscape design to interlock and natural stone patios, driveways, walkways, retaining walls, steps and water features. Swim, float or relax in an in-ground pool or spa designed to fit your outdoor space and taste. Design and manufacture concrete precast, decorative concrete, ornamental concrete, windows surrounding, concrete columns and panels, concrete signs. Lighthouse Masons is GTA's Premium Masonry Contractor bolted to a singular vision of crafting world-class Residential, Commercial and Brick Repair Services. 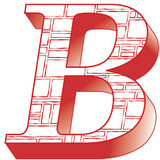 We are a group of experienced bricklayers and project managers with a passion for Masonry. We believe that quality is synonymous with service and apply this belief to all interactions, consultations and workmanship. 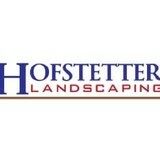 Looking for the best landscape companies in Milton? Want to deal with a Professional Landscape Contractor in Milton TODAY then look no further! Milton Stone is the Go-to landscaping company in Milton. We always go the extra mile for you! Our specialty is in the interlock installation for driveways, entrances, landings, walkways, patios, steps, retaining walls, garden walls, concrete edge restraints, borders, etc. We offer outstanding customer service alongside quality work and our amazing after service will surely leave you impressed! No job is too big for us, We got you covered! Get in contact with us and let’s start planning NOW! Your dream yard is one phone call away. All you need to do is call now and let us take care of the rest. If you are struggling with space in your home, there are a number of ways you can remodel it. Basement lowering is one of the many options homeowners are considering as a way of adding space to their homes. Red Robin Masonry is the solution to all of your masonry needs. We specialize in an assortment of masonry work including brick replacement, chimney repairs, tuckpointing, parging, all types of concrete work, and much more. With more than 10 years of industry experience, we are passionate about masonry. It is our top priority to bring you the quality and service that you deserve. Red Robin currently offers services in Toronto and the surrounding area. JB Stonework Inc. specializes in custom stone masonry using a wide range of techniques and styles while incorporating a variety of stone. With 20 years of experience, we have established a company that provides customers with the details, the quality and the excellence they are looking for. An incredible portfolio of stonework demonstrates a beautiful collection of knowledge, patience and artistry. Stamp Concrete is a full service residential, commercial contracting group. Quality service has made us who we are. Clients can be assured their project regardless of size will be handled with respect and by experienced, qualified professionals. With generations of experience, in building, renovations and concrete, our attention to detail and our relentless pursuit of perfection coupled with our network or contentious sub trades allow us to tackle any job- big or small! We deliver quality results on time and on budget. We also understand how important trust is in a client/contractor relationship and will do all we can so this trust remains intact. We strive to provide the best service possible and results that not just match but exceed your expectations. King Kongtracting is a proudly Canadian contracting company dedicated to providing the highest quality of landscaping services, to Toronto and the Greater Toronto Area. Whether you require a simple repair on your current interlock or in need of your dream project to become a reality, our passionate team is knowledgeable, reliable and always delivers a finished product that you will be proud of. If you are looking to beautify your outdoor space and create a natural ambience of peace and serenity, BnZ Interlocking And Design can take your vision and transform it into your personal oasis. Our talented team of landscape professionals will work with your existing surroundings and landscape and create a unique space for sheer relaxation or entertaining purposes. BnZ Interlocking And Design is dedicated to combining the great outdoors with the latest trends in landscaping products and design to create a personal haven for your family and visitors. Our experienced landscape design team can help you create the perfect backyard design from initial concept to completion. Whether you are looking to create a secluded corner in your yard to hang a hammock for an afternoon nap or dream of a patio area complete with a barbeque cooking center, we offer a full range of products and services that will turn your outdoor dream into reality. Please feel free to browse our website and discover the unique landscaping products and services we have to offer. We offer personalized landscape design services and our ideas are complimented with our unique line of products. Call BnZ Interlocking And Design and speak to a landscape design specialist. From installing new exterior columns to repairing your chimney, masonry contractors can help you add both visual appeal and value to your property. They’ll know what kind of installation makes the most sense for your North York, ON climate and regional style. Looking for something that will develop a patina with time? Or would you rather have your home feel brand new for years to come? Choosing the right kind of stone involves thinking about the future, too. Experienced brick suppliers and stone suppliers can help you find the material that will work for your home now and for years to come. These professionals aren’t limited to exterior work either. Whether you want a split-stone granite wall in the kitchen or need help installing traditional brick masonry on your fireplace facade, you’ll want a professional to get it right. If you’re already working with an architect or designer, he or she may be able to suggest a good North York, ON subcontractor to help out. Here are some related professionals and vendors to complement the work of stone, pavers & concrete: Landscape Architects & Landscape Designers, Architects & Building Designers, Garden & Landscape Supplies, Driveways & Paving, Siding & Exteriors. 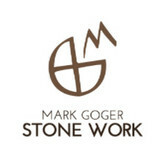 Find stone, paver and concrete professionals on Houzz. Search the Houzz Professionals section for North York, ON stone, paver and concrete professionals. Browse photos and read reviews, and contact a pro if you like their work.